IEC 60870-5-101 Server and Master simulator, Source Code Library, Protocol Stack, Driver for Windows, Linux, PowerPC, QNX and more.. New updated Version of IEC 60870-5-101 Simulator and SDK (Software Development Kit) is available now. FreyrSCADA IEC-60870-5-101 Development Bundle V21.03.026 In the Development Bundle, We included IEC 60870-5-101 Server and Client Simulator, Windows and Linux SDK. file transfer - file read (file from server to client). FreyrSCADA IEC 60870-5-101 Demo Linux Shared Library includes simple (Server & Client C programs )example using a Command window and command line inputs. The source code will allow you to quickly compile your own examples with the features of your existing development environment to work with our IEC 60870-5-101 library. 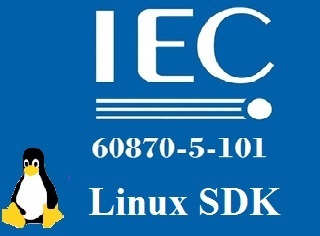 FreyrSCADA IEC 60870-5-101 Linux SDK contains Shared Library(.a) (precompiled library), Static link lib, Demo IEC101 Server & Client programs, CodeBlock Demo console project files, Doxygen . We used gcc compiler to create the Shared Library, sample test projects. gcc Compiler Version: gcc 4.6.3 - i686. You can use the source code of the application examples and modify them according to your needs. New updated Version of IEC 60870-5-101 Simulator & SDK (Software Development Kit) is available now. In the Development Bundle, We included IEC 60870-5-101 Server & Client Simulator, Windows & Linux SDK. FreyrSCADA IEC 60870-5-101 Demo Win DLL includes simple (Server & Client C programs )example using a Command window and command line inputs. The source code will allow you to quickly compile your own examples with the features of your existing development environment to work with our IEC 60870-5-101 DLL. 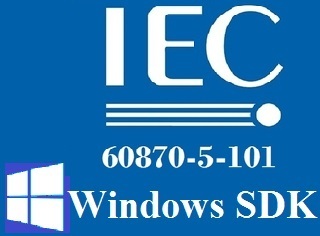 FreyrSCADA IEC 60870-5-101 Windows SDK contains Win DLL (precompiled library), Static link lib, Demo IEC101 Server & Client programs, Visual Studio Demo console project files, Doxygen . We used Visual studio compiler to create the dll, sample test projects. FreyrSCADA IEC 60870-5-101 Client Simulator was originally developed to test the IEC 60870-5-101 stack. We developed the stack to run multiple hardware platform (windows, Linux, RTLinux, QNX..). So we had to test multiple platform. At that time, our engineers developed the test simulation application. Simulator window shows the Connection status & Serial port number. FreyrSCADA IEC 60870-5-101 Server Simulator was originally developed to test the IEC 60870-5-101 stack. At that time, our engineers, developed the test simulation application. We can add up to 50 server node in the simulator. Every server node will work independently. Simulator window shows the status & connection port number. The user can update the monitoring Point information.The following parameters can change Value and quality bits. In electrical engineering and power system automation, the International Electrotechnical Commission 60870 standards define systems used for telecontrol (supervisory control and data acquisition). Such systems are used for controlling electric power transmission grids and other geographically widespread control systems. By use of standardized protocols, equipment from many different suppliers can be made to interoperate. 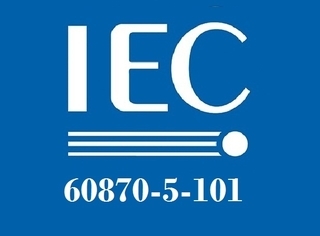 IEC standard 60870 has six parts, defining general information related to the standard, operating conditions, electrical interfaces, performance requirements, and data transmission protocols. Can be used with or without a Real Time Operating System (RTOS). Transparent licensing scheme - No hidden costs, No deferred payments. Our stacks are fully compliant with "POSIX" and tested in ubuntu, feroda, Debian, QNX, Linux Embedded OS and Various Cross compiler tool chains. Our all protocol stack supports "POSIX compliant operating system"
Supports Background Scan, Cyclic Data Transmission, Double Transmission, Redundancy and File transfer. In this License model, We deliver complete source code of the protocol implementation according to the customer specified operating system(Windows, Linux, QNX...). Customer may embed the library into unlimited copies of Multiple end-use products for worldwide manufacturing, branding and distribution. Original equipment manufacturers choose this model. They usually have multiple products in their pipeline. In this License model, We deliver Dynamic/ Static compiled library (dll / lib) of the protocol implementation according to the customer specified operating system(Windows, Linux, QNX...). © FreyrSCAD. Simple theme. Theme images by mammamaart. Powered by Blogger.